Birthing children is a monumental rite of passage and it can be really hard. Then you're expected to know just how to feed, love, and comfort them. And yourself. And perhaps your partner. And hopefully, also your own dreams, vitality, and joy. That's a really tall order. I can help. Birthing children is a monumental rite of passage, and it can be really hard. Then you're expected to know just how to feed, love, and comfort them. And yourself. And perhaps your partner. And hopefully, also your own dreams, vitality, and joy. That's a really tall order. I can help. This work is centered around helping you cultivate tenderness, support, and a wee bit of space during what can be a really daunting, tiring time. *If this is calling out to you but you're not local, let's talk about what working together virtually would look (and feel!) like, and go from there. If you'd like to see if working together feels like a good fit, schedule a free phone consultation here—I'd love to chat with you! Some new parents fall into the "A-Okay" camp, while others struggle with loss, or more serious mental health concerns like postpartum depression or anxiety. For those of us somewhere in the middle—who aren’t feeling our best by a long shot, but who can say “fine” in response to a “How are you?” without it feeling like a total lie; who are, as they say, "functioning" in the midst of this gargantuan emotional and physical breaking-open—what do we do? 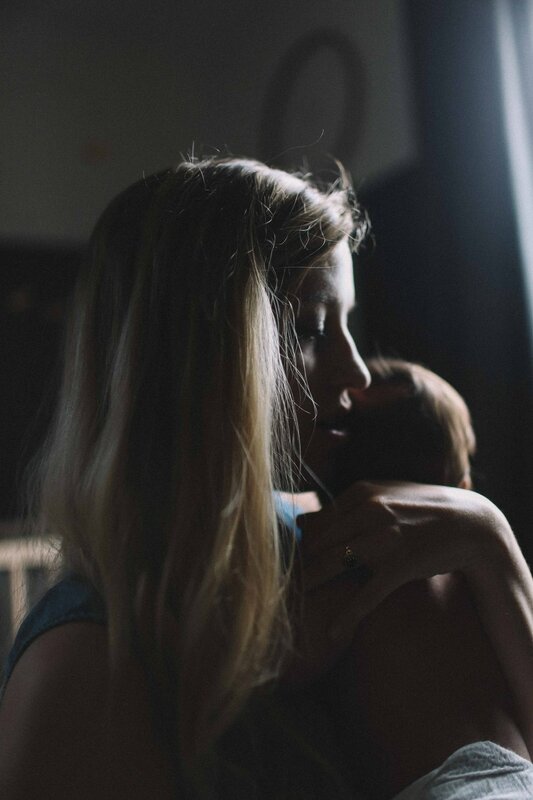 Especially if you feel like you're getting the hang of it in general, but you're still struggling with a particular piece of the motherhood experience—maybe you're working through a difficult birth/recovery process, or wondering about how to be(come) the type of parent you really want to be, or feeling the pull to move into other life roles & wanting to make space for that—these rubber-meets-the-road questions about Mom-ing (+ how to be kind to yourself as you explore them!) are the focus of my work. They don't call it "labor" for nothing! Many mothers come out of the birth experience exhausted, isolated, blindsided, and even traumatized. Throughout pregnancy, preparation for birth, the birth process itself, and beyond, most mothers are subject to a whole lot of ideas (and judgments) about what sort of birth they "should" have; what kind of birth is "good" (or "bad"), etc. etc. And these messages, no matter how well-intended, can lead to a lot of pressure and self-criticism, especially when the experience doesn't turn out like it was "supposed to". Our work together is a journey toward integration of the birth experience (whatever it was), with a focus on self-compassion. Based on my own birth & parenting journey, along with my work in psychotherapy and coaching, I offer safe and transformative space for moms of all kinds to share, process, and integrate their birth experiences. This re-telling can be especially helpful for folks working through traumatic or disempowering birth experiences, and/or difficult postpartum recoveries. Most people go through a serious period of adjustment as they step into parenthood. The phrase "on the job training" comes to mind. (Also "trial by fire", "sleep walking", and perhaps the absolute most bedrock version of "faking it till you make it"). The first step toward integrating this new role, is acknowledging its newness and hugeness in your life. Because you and your partner or fellow caretakers are probably each adjusting to all of this, it can be super helpful to find someone outside of the family system to process with. As a mama myself, I have a deep commitment to supporting folks on their journey to fully step into parenthood, baby love, and sustained self-connection. This is new. You are not supposed to just magically know exactly how to do it. Even if this is not your first child, this is your first this child. For the most part, what they need is so much simpler than the mommy fear-mongerers would have us believe, and you may be needing a whole lot more. You are a parent. You are forever changed. And you also get to be yourself. You get to be not-so-changed. You can expand to accommodate this new love, rather than contracting around it. You have interests and passions and relationships (and sovereignty and identity) beyond your role as a parent. You get to play all sorts of roles in your life, as you always have. This is not about your own personal reenactment of Bad Moms (though I'm not judging! )—it is about something way, way bigger: it is about your right to dimensionality and self care. What was important to you before? What is still important now? What feels newly important? What fills you up in such a way that you can more fully show up in your life, and within your family? These are the types of questions we can explore. Let's go!